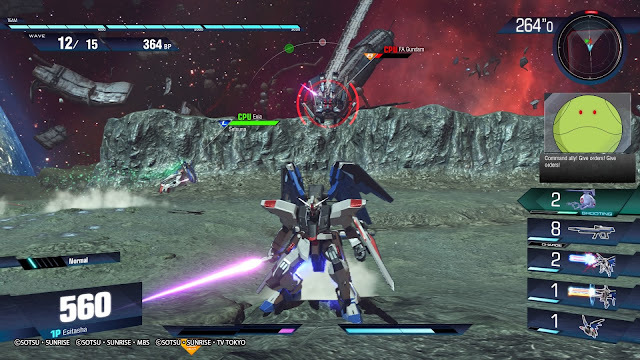 Bandai Namco recently brought the newest iteration of the Gundam Versus series back into the hands of the players. 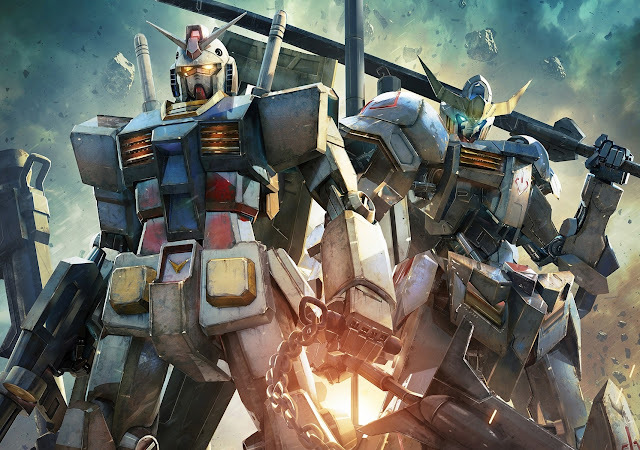 Having gone back to the drawing board in order to make it bigger and better, the newly titled Gundam Versus is indeed bigger and better mechanically, but it still contains the same major flaw of its predecessor. It lacks story. 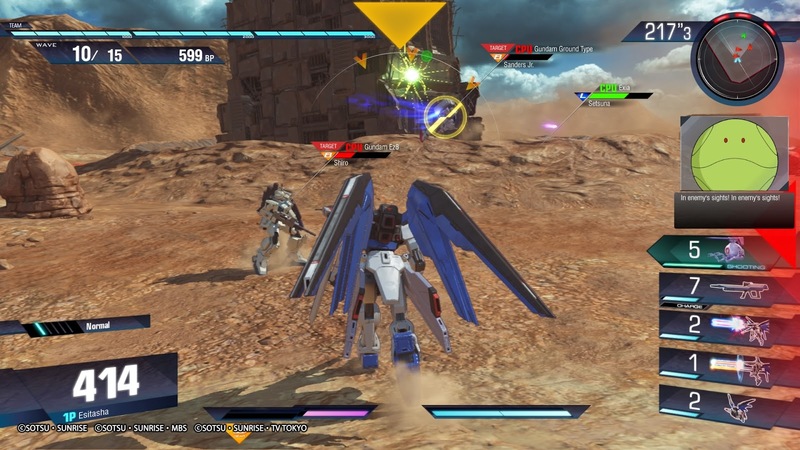 Unlike Extreme VS-Force, Gundam Versus doesn’t even have the idea of being an evolving AI as a plot device. Instead it has nothing. 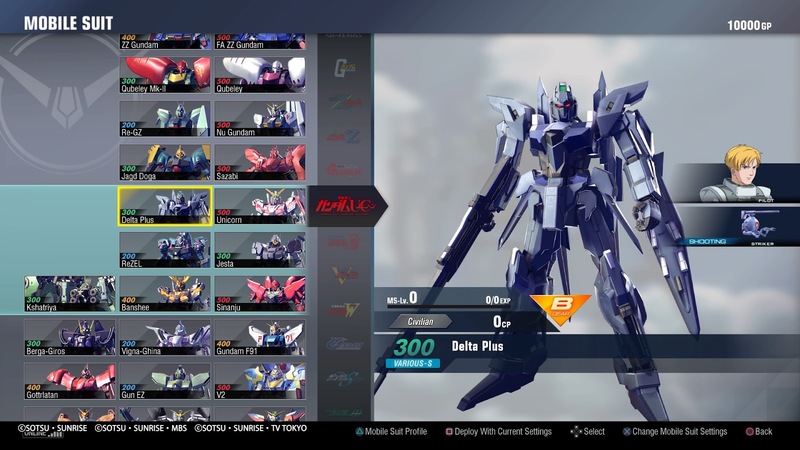 With all of the available Mobile Suits, Gundams and pilots available on the roster, the Single Player and Multiplayer modes, the game makes no effort to tell any kind of story with any of it. There’s a load of content but the game is deeply short on context. This is truly unfortunate because there's a lot of story that this franchise has in it, and while they're not the greatest games, we do have genuine attempts to do something with it in the Dynasty Warriors Gundam series. It can be done. Despite the lack of narrative to really hook me in, the action is just as intense and much smoother than it used to be. Mobile suits can run around smoothly, use their thrusters to either rush an opponent or to dodge out of the line of fire and the thruster gauge is easy to see. The same applies to the various ammo counts that are in reserve before having to be filled back up. Some units may only have one or two ammo counts, being more melee-centric, while others (like my personal favorite ZGMF-X10A Freedom Gundam from Gundam SEED) have counts for the main beam rifle, the shoulder beam cannons and the full set of shoulder and hip cannons plus being able to perform an actual left or right dodge flip. That's a lot of guns. This would normally make up for a lot of screen clutter but the interface is designed well enough that everything is clean and clear allowing a constant view on the action. Unfortunately for all the upgrades to the movement and ranged combat systems the melee system is just about the same as it was before, making the single button press go through a pre-determined sequence, which is clumsy, clunky, and has far outdated by modern action game standards. It would have been far more interesting and effective for players that do want to play melee-orientated characters if they had more control on how their Gundam actually held itself machine-to-machine. 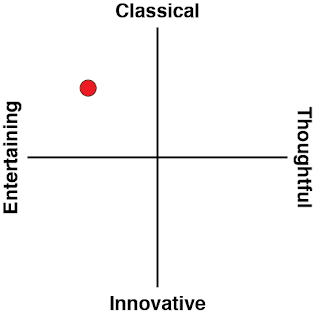 The modes themselves are few. There’s the Ultimate Battle Mode that sees how far you can make it through various waves of increasing difficulty. There’s Trial Mode that takes the same core idea but instead of waves you go through different battles on various stages across something akin to a timeline. Supporting these there are various tutorials before moving into the multiplayer which can see 1v1, 2v2 and 3v3 matches against other players either in your region or globally. The single player modes are fun and work as a way of learning how to play the game and figure out which machines suit your play style. They also work to give you the funds to unlock new titles and banners, which are cosmetic but fun. That being said, there probably isn't enough currency going around to unlock everything at a good pace. While the Mobile Suit upgrades are nice, moving onto another unit in order to start unlocking its progress is probably a better use of your funds. Multiplayer is bloody hard. I mean sure this is to be expected but I am seriously, at the time of this writing, very much in the red in terms of my wins vs loses. Those weren’t even the ranked matches either. 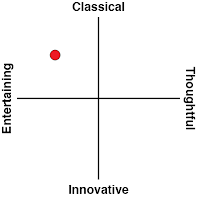 It's the kind of game where you can get to learn a player's tactics and take advantage of them in subsequent games with the same player, which is a good sign for the depth of the mechanical systems in place, but this is a game that will have a small, but very good, and quite intimidating online community. That being said, playing online is really where the action is, so if you are going to invest in this game, be prepared to also make a serious time investment in order to feel a part of this community and enjoy your time with it. There's nothing more to the game than I've described above. Yes, there is a lot of stuff to earn and unlock, but again, the lack of context in doing so makes the game feel dry. And even then, it never quite feels like a completed game either. Right from launch there was plenty of DLC available in the form of additional ships for about $8 CAD each. There are many suits available for purchase and while some such as the Perfect Strike Gundam (Gundam SEED) I can understand as it’s a concept and novelty, Gundam Virtue (Gundam 00) and Baund Doc (Zeta Gundam) are part of the core series’ suits and really should have been in the main game. Especially when other ships from those respective Gundam franchises are in the game. Gundam Versus is mechanically solid, though the melee side of the game still needs work. But that only takes this game so far. A lack of narrative or context for any of the action leaves this as a dry, multiplayer-focused game that fails to capitalise on the IP nearly as well as we might have hoped. If you're willing to put the hard hours into getting competitive in the game online, you could spend a lot of hours with it. But it's neither accessible, nor enough of a Gundam tribute for this community to remain large for any significant period of time, I fear.